You may already know that there are more than 150 Google ranking factors which decide the SEO score of your website. The algorithm keeps changing and you may keep seeing the ranking declining. If you wish to learn every SEO aspect Google uses to handle the SERPs, this is the guide for you. People talk too much and you should ignore everyone and learn what’s necessary. In this post, I am going to mention each and every factor including the On-Page SEO and Off-Page SEO along with the user experience. Learning these Google ranking factors will help you increase your search results. Get your seat belt tight because you’re going to a rollercoaster ride of an SEO session. A few years ago, the SERPs were controlled manually by now Google has the algorithms like RankBrain algorithm which always seeks the quality content. A while ago, Brian Dean explained how people were getting the Google Penguin update so wrong. Google gives high preference to its trusted websites. If you have noticed, the SEO of the pages is much better than the simple blog posts. But adding more and more affiliate pages can be a negative impact. The sitemap guides the Google about the number of posts, pages, and media present on your website. To index it, you should add your website sitemap to Google Search Console. Google also checks the site’s info and the person behind it. If you have an appropriate information on your Contact us page, you will get a plus point. Google keeps monitoring your website and the frequency of the content you update. That’s the reason SEO experts recommend to keep the content fresh. After the official announcement by Google to show the notifications in the Google Chrome, it’s mandatory to enable an SSL certificate on your WordPress website. Most of the web hostings provide one year free SSL certificate. You can also use CloudFlare for free. Many people ignore the structure and keep writing. Google also follows the latest web design trends so if you’re using the 1990s structure, hire a web designer to revamp it. You should never use the site meta description of the SEO plugin and the WordPress theme(if available) together. The duplicate meta information can drag your site down. 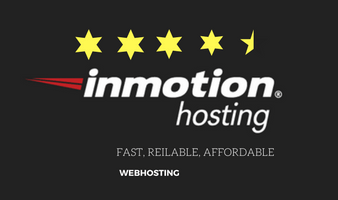 That’s the reason it’s always recommended to buy a reliable web hosting with the best uptime. 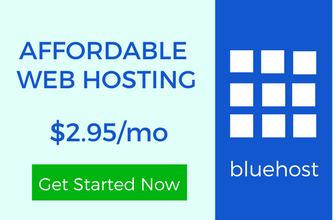 You can use InmotionHosting, Bluehost, Kinsta, and many others. It shows your website is an authentic member of the web. This is one of the most important Google Ranking factors. The web hosting server location can also impact the SEO depending on the geographical searches. If you have a local business then you should choose a nearby server. You may have seen at many websites showing your current position on the website. It navigates you to provide the better user experience which improves the SEO ranking. The more you can stay your readers the better will be the bounce rate. The high bounce rate can hurt your website. You can reduce it using interlinking, adding related posts, and much more. If you’re running a business website, the reviews matter a lot. The websites like Tripadvisor, Yelp can change help you maintain the reputation. If you monitor your website properly, you would know that more than 30% people are using their smartphones to surf the web. You should have a mobile-friendly website. It depends on the WordPress theme you choose. I have met many people whose websites weren’t even indexed in Google. It’s because they haven’t submitted it. Just after starting a WordPress blog, you should add your WordPress website to Google Search Console. If you search something, there are chances that YouTube video appears before the content. Embed YouTube videos in your blog posts help a lot. As you know, people install the Google Analytics plugins which slow down the website. And the more data Google has, the more it will take time to analyze your website. According to many SEO experts, you shouldn’t depend on these tools. Just monitor your website and transform your marketing strategies. Always try to make the navigation easy so that people can know where they are and what are the pages, posts, categories they can explore. If you’re creating a page with no navigation to go to the homepage of your website, it’s useless. This is the first question you may be having in your mind. According to Matt Cutts, the domain age matters but not as much as people think. The 4 months old domain and the 8 months old domain don’t differ. This is a kind of complicated stuff to understand. 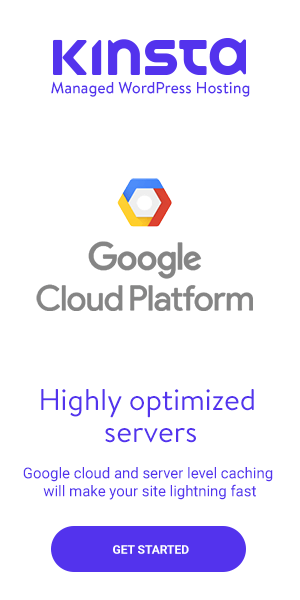 According to Google, it depends on the type of domain and the latency. People legitimate domains get registered many years ago before they get used. Many people call them the premium domains. If you’re thinking about buying an old domain, you better check its history. Let’s say the domain was used by a Casino website and you want to start a blog, it will definitely put some negative impact. It’s also one of the Google ranking factors everyone talks about. But it’s not going to boost your website at the higher level but having a keyword signal always helps. That’s also a plus point to your website. If you’re going to start a blogging website and the keyword is at the starting, the preference is more than which don’t. Just like BloggingLove. According to a study done by Moz, the keywords in the subdomains can also boost the SEO of your website. You can check Hubspot for that. The website has the different sections for marketing and others. If you’re thinking about adding all the keywords to your domain name then it’s a bad signal to Google. There are many things you should learn before you choose a domain name. People make so many domain name mistakes. It’s true that the domain name extension to the countries like the USA, Canada, the UK can help you empower the SEO but sometimes it can be a negative impact in the global searches. For a local business, it’s definitely one of the best Google ranking factors. If you’re thinking about creating the exact match website like “freewebsite”, “CES” then it’s not going to work. People use such domains for the event blogging to make money. Google removes the low-quality exact domains from the SERPs. In 2006, Matt Cutts mentioned that it’s always good to be transparent. Hiding your domain info is never a good idea. Why would you do if you’re an authentic person? Unfortunately, nowadays the web services companies badger the domain owners. If Google finds out that the Domain registration is done at the name of any spammer or the person who has been blocked, it’s not going to be good. If you start optimizing your content from it’s heading, the SEO surely improves. It directly sends the positive SEO signals about the page or the post. Don’t get confused between the title and the H1 heading. But anyhow, adding the keywords help you boost the overall SEO. According to the study done by Moz, the pages with the keywords at the starting of the title performs better than which don’t. While writing your post, you should try to add the focus keyword at the starting of the main heading. It’s one of the most important Google ranking factors for the On-page SEO. If you’re using Yoast SEO or any other SEO plugin, you get a box to fill the meta description of the article. It’s always recommended to use your focus keyword. Whenever you search anything, Google highlights that query in the meta description of the SERPs. You may have seen people using “Content is King” and many other phrases. These also help you to increase the chances to improve the SEO. But not so much. Keyword stuffing can lead to the Google Penalty. Many newbies try to add the keywords everywhere in the hope to boost the SEO, it ruins the ranking. Keeping it between 0.5% to 2.5% is considered as good according to most of the SEO experts. It has always been one of the most controversial topics to discuss. After every Google update, many things get changed but not the fact that long articles get higher indexing preference. Google ranking factors involve this as the crucial thing to while deciding the quality. Though it depends on the type of topic you write about. If you stretch too much, it will turn-off your readers which will affect the bounce rate. These keywords in the content help Google to find more information about a single word or the phrase. They can act as the good SEO signals to Google. These keywords will make Google understand the synonyms of the words which increases the chances of getting the higher SERPs. Adding the title, alt text, name of the images helps you improving the On-Page SEO. If you use Yoast SEO plugin, the media files also get indexed in Google which is a positive signal. Google recommends having the websites which have the better page loading time. It should be below 3 seconds. You should boost your WordPress website speed. You should know the proper use to avoid getting penalized by Google. It’s used when you write the same story someone else did on a famous website. To give a reference, you should add “rel=canonical” tag. Many beginners try to play some trick by using the language translators and publish the duplicate content. Eventually, your website’s rank will fall. Not everyone uses the dynamic CMS like WordPress so a few people are still running static websites. Chrome gathers the data of your website and Google may use that data to handle the SERPs. Google prefers to show the latest updated articles to keep the freshness. If you check WPBeginner, you will see the last updated date. Well, that’s what you should keep in your mind. How often do you update your pages? Like your About Us page, contact us or any other. It matters a lot to keep the freshness anywhere you can. The magnitude of the update also impacts the SEO. You change a few words, one line or the complete section. Adding a new section is a significantly different update. The keyword “website performance report” will index better than “performance report of a website”. In all the Google ranking factors, this is something you should practice more. It’s always recommended to place the keyword in the first 100 words. It’s a great signal for Google. It matters a lot as to how many images, videos, PDFs, you embed into your article. It’s only about the main heading, you should try to use the keyword in the second, third, and the rest of the headings. A perfect grammar is a positive signal to the Google bots to consider your website as qualitative. Use the online tools like Grammarly. Many people consider that linking to an external website will pass the SEO juice. Well, if you outbound to the reputed website, it surely improves the SEO. If you write about blogging and link to a website about mobiles, It can send negative signals to Google. If you re-publish any old content then it may not index as the old once did. It’s also termed as supplemental indexing. Google algorithm seeks the uniqueness. Whether it’s about maintaining the bounce rate or to engage more readers, interlinking is always the best practice. If many internal links are pointing to a particular page, it’s showing significance better than other pages. If you sell too many dofollow outbound links, it can send the negative signal to Google. So before you sell your “dofollow” links, think twice. The pages with the higher quality linking to any domain have the better Google ranking than which low-quality linking. After installing SSL certificate, your website may show the mixed content which means not all the pages have been transferred from HTTP to HTTPS. It can also be a vulnerability. While being busy in doing internal linking, you may forget monitoring the broken links. You should check on the regular basis. Once a week is good. No doubt that Google ranks the pages with the higher authority better than others. You can check it along with the Domain Authority. While writing an article, you should check the reading score. Most of the SEO plugins let you know that. Google also checks it. If you’re having a review website then it’s a different scenario but for a simple blogging website, too many affiliate links can be bad. So much long URL can affect the ranking of your post and pages. Always try to be precise. That’s why it’s recommended to choose the SEO-friendly permalink structure. Google also checks the code of your website. So many coding errors can lead to the loss of ranking. That’s why it’s important to use properly-coded plugins and themes. The page closer to the home page of your website will get the higher priority in indexing. How can you forget about one of the most important Google Ranking Factors? The On-Page SEO starts from the heading and the permalink. Adding the relevant tags to your articles can help Google to resonate it with the search query. Most of the WordPress themes support tags. Just like tags, the post category also plays an important role in Google indexing. Some SEO experts believe that adding the category to the permalink can also help you get the better SEO results. Even if you don’t add dofollow outbound links still, so many outbound links can distract Google from the main content. Though it’s not confirmed whether adding the reference content helps or not but it surely consider the outbound links of that content. The plugin you use to generate the sitemap is also important. Use Yoast SEO. No need to use any extra plugin. As I have mentioned before, Google likes the regulary updated content. So if you keep updating your page for years then it can have the better SEO than the new pages. While writing an article, using bullets and points increase the readability and so do the SEO. Having an unstructured layout can ruin everything. It’s also one of the Google ranking factors. Many people don’t consider it as a ranking factor but it is. Suppose, the bounce rate is fluctuating so much in a small interval of time, whether it goes too high or too low, it definitely affects the ranking. Maybe the Click Through rate for keywords matters while showing the search engine results. Many SEO plugins allow you target multiple keywords apart from your focus keyword. Google may also consider those CTR. As you know, Google tracks the Chrome data. It’s possible that it will give the relevance based on the number of people bookmarked your website. The number of comments shows the better user interaction. Google tracks what people are liking. Not everyone opens the main URL of the website. They either bookmark, find your link on any social website. Google also tracks the percentage of direct traffic your website gets. The number of people who come back to read your content is also one of the Google ranking factors. While coming from Google, the amount of time that person engage with the content is also taken into consideration. This happens just like YouTube. It shows the related content. if you search for “cute puppies”, you keep seeing related videos on the home page. Everyone knows that it’s one of the most common Google ranking factors. The more people like the content, the more it gets the SEO power. Shares are much effective than the likes because not every website has a Facebook like button. And a share means the URL of your website is outbound. You can use the Facebook marketing strategies for better results. Google also tracks how many authority accounts shared your content on Facebook. The share of a verified account has the better signals. 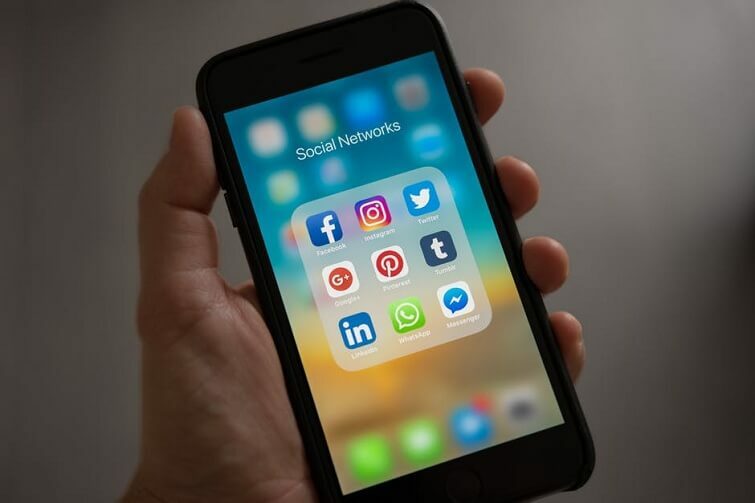 If your content gets shared through the social media buttons, Google may consider them as the ranking signals because of the better user interaction. The authority twitter account having millions of followers will have the better response as compared to someone having a few thousand. Many website owners add the Stumbleupon sharing button. The number of stumbles can also be the Google ranking factors. These are also two most influenced social platforms. Let’s say you get thousands of upvotes on Reddit and Digg, it can also be a better signal for Google. Pinterest is also one of the most popular social media platforms right now. Google can consider the number of pins as the better ranking factor. According to many SEO experts, Google Plus shares are given more priority than any other social media platform. Just like Twitter, let’s say someone has one million followers on Google Plus and he/she shares your content. It’s natural that the content will spread more. If you create your company page or a personal profile, you can easily find it on the first page of the Google. Maybe the shared content be considered as a ranking factor. The number of shares in a particular amount of time can also be something Google checks. More 301 redirect impacts the website’s performance and Google never refers to such websites. Never add a popup on your website. It keeps badgering your readers and Google looks for a clean website. Some people might go too far with adding keywords in the headings, meta descriptions, image alt text, and a lot more. Sometimes, the Google algorithm bans the low-quality websites to maintain a decent result. If you’re too much on the pages, it can hurt your Google ranking. Some people try to act smart by autogenerating the content using the advanced tools. Eventually, their websites get banned. Making money can blindfold you. Showing ads to a limit is good, but not all over your website. People come here to read, not to buy products. Hiding your affiliate links can be the reason for the Google penalty. Nowadays, people are trying the cloaking tools. 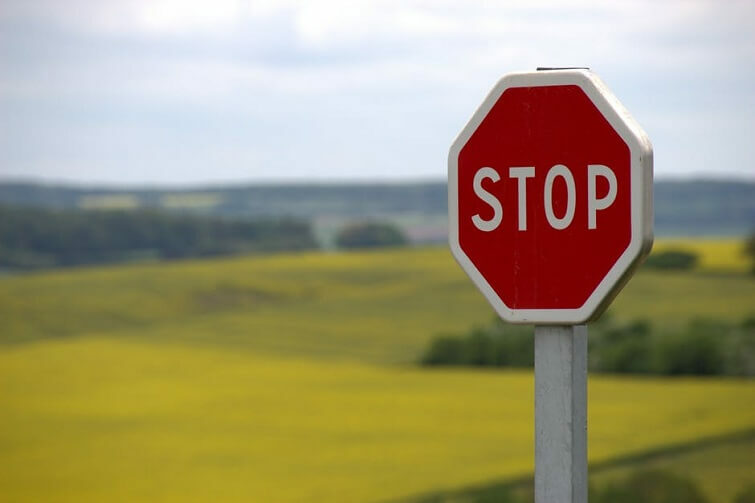 Though it’s good to create an Amazon affiliate websites still sometimes, due to the violation of the Google terms and conditions, such websites get blocked. Never try to use your keyword more than twice in the meta description of your website. Try to keep it natural and optimize it accordingly. Neglecting the outbound links and adding so many inbound links can also be harmful. Just try to look natural. Don’t interlink one post many times in the same article. Listing yourself and your co-workers on the official LinkedIn page also helps the search results as a brand. People directly search for your brand name. Everone knows Facebook but not everyone directly enters the URL. If you have noticed, company pages get verified easily on Twitter whose tweets gets a lot of social shares which directly helps to improve the Google ranking. When you idolize someone, you may search like “Sam Twitter” and it certainly helps Sam to enhance his brand. You know that News websites have the amazing SEO and if your website’s name gets mentioned. It surely is a great news. Well, if you do it right. The company page on Facebook can send a lot of social signals to your website. With no hyperlink, if your brand name gets mentioned at any famous website, it surely is a good signal to Google. Creating the social accounts can’t work until you have someone to interact and if someone does, it’s one of the Google ranking factors. 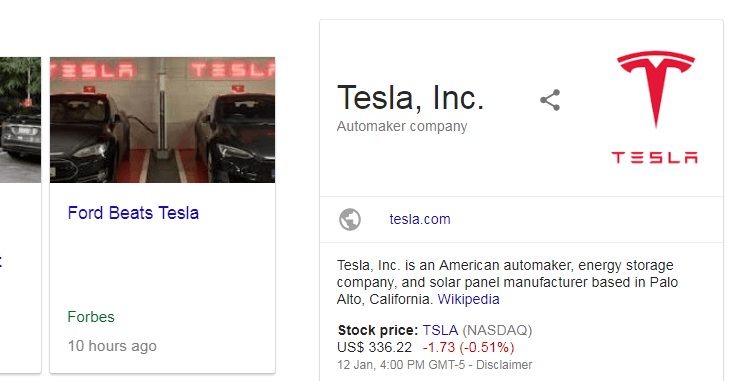 You may have seen the search results for the companies showing the working hours and other details on the right side of the text results. Having your email subscribers can’t be seen by anyone but Feedburner can be tracked by Google. If your company has been legally registered and paying taxes, it can be a good sign for Google. People always recommend commenting on high authority websites. That’s because there are chances of getting the backlinks. Even in terms of the backlinks, the domain name has a plus point. We’re talking about the active old websites. You can get links from the same website from the different pages while commenting or by getting mentioned in the posts. According to Moz, this is also one of the most important Google ranking factors. Considering the domain authority after vanishing Google Page Rank, you should search for the websites having higher domain authority. Having a link from a game website or an adult website can ruin your Google ranking. The website having the .edv extension is really good for your website’s SEO. If you get a link, it’s really effective. You may have seen many govt. websites. People visit them in a throng. You can also improve the SEO by getting alt text links from a better website. Linking the home page to the author bio or adding any post in your guest post is a great way for natural link building. You may get tons of emails to pay you $100 for getting a dofollow link. 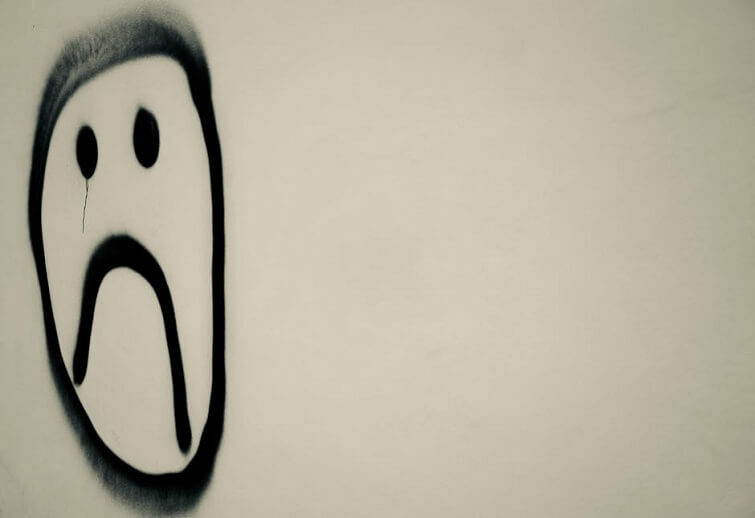 The words like sponsor and partner link can kill the SEO. It’s also a good idea to get a backlink from your competitors. But only using White SEO tricks. Just like the keywords, the location of the link anchor text also matters. Let’s say your website gets links in the first paragraph. Just like before, the backlinks from the domains like .us, co.uk, .ca can help you improve the SEO. It’s also one of the Google ranking factors. If you get the same kind of backlinks, it can’t be as much effective as the diverse backlinks. Getting the backlink from the page having the similar niche is always helpful. It’s more natural. That’s why it’s recommended to comment on the similar niche websites. Though you don’t get a dofollow link still it adds the trust factor to your website’ name which impresses Google. How can you deny the fact that it also helps you maintain a better and trustable website? Google keeps monitoring your backlinks and whenever you get any a new backlink, the ranking gets improved. You may have experienced on Alexa. Though many experts say that blog directories no longer work, but at least you get to link to a high authority website. That’s more than enough. Now, this also something you should consider as one of the Google ranking factors. Some bloggers exchange the links and Google penalizes their websites. You shouldn’t make such mistake. It’s better to have a link from a real website than a newbie’s blog. You can’t have that much of the quality from a new blog having 1 Million ranking. Instead of having a link from a blank page, it’s always good to when someone links to your post somewhere in the middle of his/her page. If the link velocity is negative, it can affect the SEO ranking of your website at a greater extent. Google searches for something growing. Many people use click bait to grow the backlinks but eventually, Google identifies those. It matters a lot whether you’re getting a link from a quality content or just a random website with no SEO score. Yes, it’s better to get a link from a 3000 words article instead of a 300 words post. As you know, many blogging forums let you add the website URL to the profile. Getting such links is also one of the Google ranking factors. If you get hundreds of backlinks at once, it can be really suspicious because it’s not possible to get tons of backlinks naturally. Google Search Console can also send you the unnatural link building warning which can turn out to be a fatal. Of course, if your website has been hit before by Google, the search visibility will definitely be less. Getting so many links from the same IP server can be also a reason to get penalized. Though you can’t know that which website is hosted to which IP server. Many people try to make money by selling the links. It can’t be considered as a good link practice. While improving the SEO, it’s recommended to remove the bad backlinks using the disavow tools. Sometimes these tools can affect the ranking. While crawling your website, if you block Google bots, it can be suspicious. Use robots.txt to handle the crawling. This can also be one of the Google ranking factors. You can’t take chances. A backlink from a pure affiliate website can be considered as bad. Try to connect to the websites which don’t have any kind of voilations. The backlink from an adult website can kill the SEO for sure. Be safe to get what you want. It’s always recommended to index the image sitemap to Google Search Console. You don’t need to worry about everything until you’re doing something wrong. Maintaining the natural flow is the best trick you should follow. There are many Google ranking factors which can fret you a lot. I have tested many and this list is what reflects everything. You can sign up for my newsletter to receive regular updates. Don’t worry, I am not going to spam you. 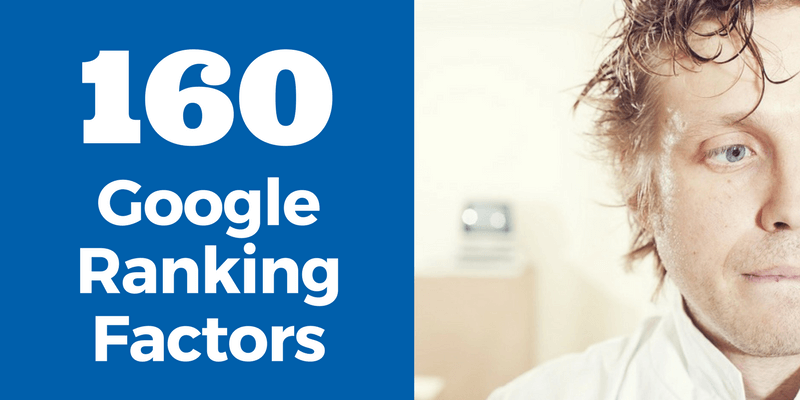 These Google ranking factors can help you boost the overall SEO of your website. If you still have any doubt, feel free to drop a comment. 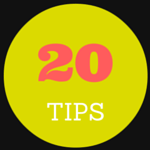 20 Remarkable Blogging Tips And Tricks To Create The Best Blog Ever. I surely have to peak into what I am missing on. Thanks for the great action-taking post, Ravi!! Wow Ravi, huge is right. And I read it all because you made it section small and easy to scan. I need to work on my bounce rate, what do you suggest I do first to lower it? I am using related posts at the bottom and linking more internally on each post. Is there a ratio for that per words etc? Thank you Ravi for this very informative post! Adding the related posts, popular posts, and interlinking are the basic techniques. The main thing is to create something worth reading so that people can stay for the longer period of the time. Wow! That is a huge list and we cannot ignore the above 150 points to rank our site in search engine result page. Driving organic traffic is very important and without it no one can become a successful blogger. Thanks for taking your time and writing this detailed and informative post. Great list of ranking factors, it’s crazy what we as bloggers have to do. I can’t imagine trying to pay attention to my blog without the help of Google Search Console. I make it a point to check it on a regular basis to make sure that everything is running smoothly. This tool has helped me catch so many crawl errors and fix them so they don’t affect my rankings. It’s nice when you finally start seeing some organic traffic. You want to make sure that you don’t lose them because you’re not paying attention to these errors. 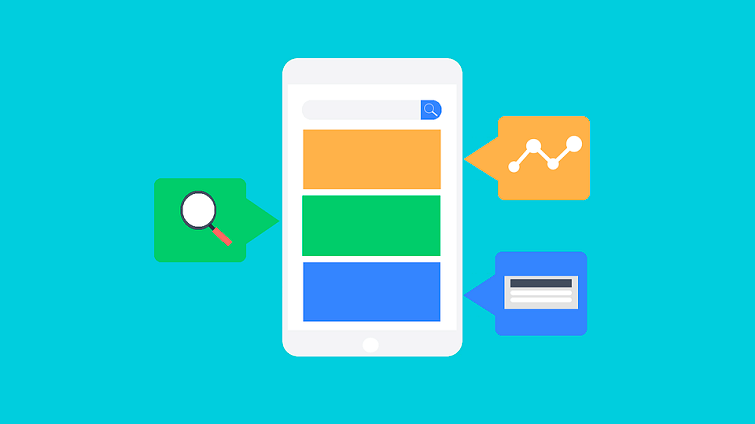 Is paying attention to Google Search Console the best way to monitor your site? If not, what would you suggest?